Now all of this may be overwhelming and you may be thinking, �wow, this is so much info, and there is so much to do. I don�t even know where to start.� Let me encourage you. You�re right, this is a huge project, and there is a lot that is going on here, all of which I have not even gotten to explaining yet. But I would encourage you not to be overwhelmed with the massive amount of opportunity and ideas, or overwhelmed with the vision but to take one step at a time. The point of this article is to encourage you, and to help you get on that first stepping-stone, then to point you to the next one. We want to show you how to Step Out, Stand Out, and Speak Out. We do not plan on leaving you in the dark, or throwing you into the deep end and expect you to know how to swim. Stepping Stone One: So the first thing I must ask is do you understand the vision? I am not expecting you to understand it completely, but do you have a basic understanding of what we are doing? If not then I would recommend you re-read the articles called �Welcome to Young Christians,� and �How You Can Get Involved.� Then to come back here, because unless you understand the basic vision of Young Christians (Speak Out) you will have a hard time continuing on the path of stepping stones. 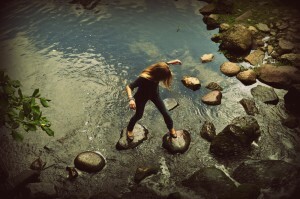 Stepping Stone Two: What are your talents? What are you good at? Where has God gifted you? Grab a sheet of paper, or open up a Word document, and write down a list of your strengths. Are you good at art? Are you good at singing? How about writing? Or are you a people person? Do you work well with people? Be specific, and don�t leave out anything. Maybe there is something you really enjoy doing, but need a little practice in. Write those things down as well. Stepping Stone Three: What are you passionate about? For me it is relationships – seeing people live out godly relationships. What is your passion? Is it children? Is it seeing people handle their money in a God honoring way? Maybe your passion is helping teens that society hates. Your passion does not in any way have to coincide with your talent. Don�t try and think about how the two things can work together, not yet. Just write a list of things in life you are passionate about, the longer the list the better. Chances are you won�t use them all, but it is good to have them all listed. Think about why you are so passionate about your passion. Why it is important to you? You were not given a passion for nothing. God gave it to you so you could do something about it. Now maybe you don�t think you have a passion. And if you are at that stage that�s fine, but let me assure you God has given you a passion, whether you realize it or not. I encourage you to start praying. Ask God to either give you a passion or to show you the one he has given you. And Believe me, God will give you one! Another thing you can do is try to think about what excites you, and what angers you. And when I say angers you, I mean a society issue.� For instance do you get upset when a certain group of people are mistreated, or when cops act unjustly? I don�t mean annoyed, I mean passionate fury towards sin. Eventually we would like for members to be able to upload this list (of both their talents and passions) onto their profile on Young Christians, so we can help one another out in times of need. So if you�re good at graphic design, a group of individuals can contact you and say hey we need a poster, can you make us one? When you are done with making this list save it, put it somewhere where you will find it, so that when the day comes when we do enable this all you have to do is quickly update it, and upload it. Stepping Stone Four: Now this may be the most important step to understanding how you can really get involved. Near the top of the page, below our logo, there is a list of tabs. Look for the one entitled Getting Started. This is a very handy tab that will guide you, and give you ideas on how you can get started, things you can do. You can even look through lists of things others have done, and get idea from them. Now if you hover your mouse over the tab down will come a selection of options in which I hope to better explain here. Active Ideas: Do you remember in the article How you can get Involved �I talked about how the group Stop the Traffic made a promise that they wouldn�t eat chocolate from companies until they could promise that it was traffic free? That is the essence of the Active Ideas page. It is giving you ideas on active things you can be doing in order to change the world for Jesus. How you can become light and salt in a dark world. Now eventually, my hope and design for this page is that members of Young Christians would put up what they are doing, things that have been working for them, and things that seem not to work as well. It would also be for members to talk about the testimonies, and fruit that their active project has been producing. So eventually you can look through what hundreds of other youth, like yourself, have been doing and how it has been making an impact, and even how it has been impacting them as a youth. And this hopefully will inspire you and help you decide how you can get active. However, because we are a newer ministry, we do not have anyone doing any active projects. Therefore I have written up a couple of examples that, hopefully, can give you some idea what you can do. Example Content: Now within this category there are sub categories that you can look through. So you can look through articles that others have written, videos others have made, graphic design that people have made. This is once again to give you ideas and passion toward doing something like this. As of right now people have only written articles, so the videos that are posted are currently taken from YouTube and other sources. They are there to give you ideas on different kinds of videos you can make. Eventually we hope to only have videos made by account users. Stepping Stone Five: Now we come to you getting creative, and starting to think of ways you can change the world for Jesus. Start working with your greatest talent. Hopefully you have been inspired by the Getting Started tab, and have seen some of the idea listed there. Think of things that hurt your passion. Like I said mine is relationships, so one of the things that often affect this is that Christians have a lack on knowledge on what the Bible says about relationships. So I wrote an Online Book on what godly relationships should look like. You need to find a way to work against an issue that you are passionate about ending. Find things God hates. A profound statement yes, but God loves marriage, therefore God hates divorce. So after you have found what negatively affects your passion, find a way to use your talent(s) to work against that. I wrote an Online Book because I have a gift for writing, and I love technology. So creating a website for the book was more fun than a chore. This is what you are looking for, some way in which your passion and talents can coincide. Stepping Stone Six: The sixth thing you need to do is to make a plan. After you have figured out what you want to do you have to make a plan of how you are going to do it, a step-by-step analysis of what you will need, and the time it will take. Be detailed, and very specific. Try to think of a few obstacles that might occur and what you can do to prevent or overcome them. People get so overwhelmed with the big picture (and often I do as well) that they don�t even know where to start. Winston Churchill said during World War II, �He who fails to plan is planning to fail.� This is why making a plan is so important. If you make a plan, and map it out, you can�t say, �you don�t have time,� or get overwhelmed by the process. That is why I wrote this article – to get you moving one step at a time and show you how to start, and if you need it, help you along the way. Many small steps will result in a great distance achieved, and the only thing you have to worry about, is the next step. Stepping Stone Seven: Moving and shaking. This is the final step before I release you, before you spread your wings, and fly like an eagle. Now you can start putting your plan into action. But not only that, you will have to spread the word. This is very key, and is how the website will grow and how things will start to change. So whether you have written an article, or have promised not to eat trafficked chocolate, you have to let others know. And not only that you have to get others involved, you have to get other young Christians your age, whether you�re in high school or college.� It is your responsibility to get people working with you. Get people interested and passionate about Young Christians (Speak Out) and wanting them to get involved. 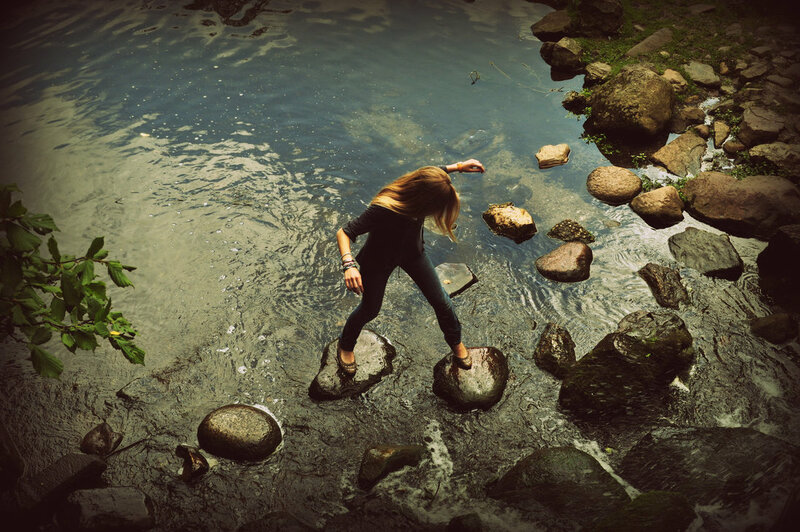 So these are the seven stepping-stones to get you started. And don�t worry, if you still need help, want ideas, or just want prayer, you can always contact us. As I said before we are not just going to leave you in the deep end to drown. We want to help, encourage, and pray for you, as you, with others change the world for Jesus!